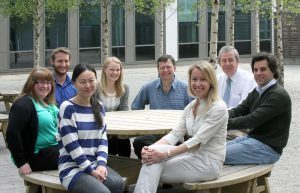 The infection group at the University of St Andrews is part of the School of Medicine and is under the leadership of Professor Stephen Gillespie. With Professor Gillespie being Chief Investigator of the REMox TB study and one of the Chief Investigators of the PanACEA consortium, our group focuses on various aspects of tuberculosis drug development. We also study molecular mechanisms of resistance, model systems to measure the fitness deficits found in resistant strains and investigate respiratory pathogens.